I spent last night on the floor of Lima’s Jorge Chavez International Airport. Now that Jasmine has gone home, I’ve pretty much given up on all of those silly frills and perks that girls like, like beds or showers. She thought hiking the Lares pass was rough? Well, that was pretty tough… It made sleeping on the floor, shifting from side to side in the hallway to avoid the gigantic zamboni-esque floor waxer seem pretty cushy. How’s that for a sliding scale of hardship? 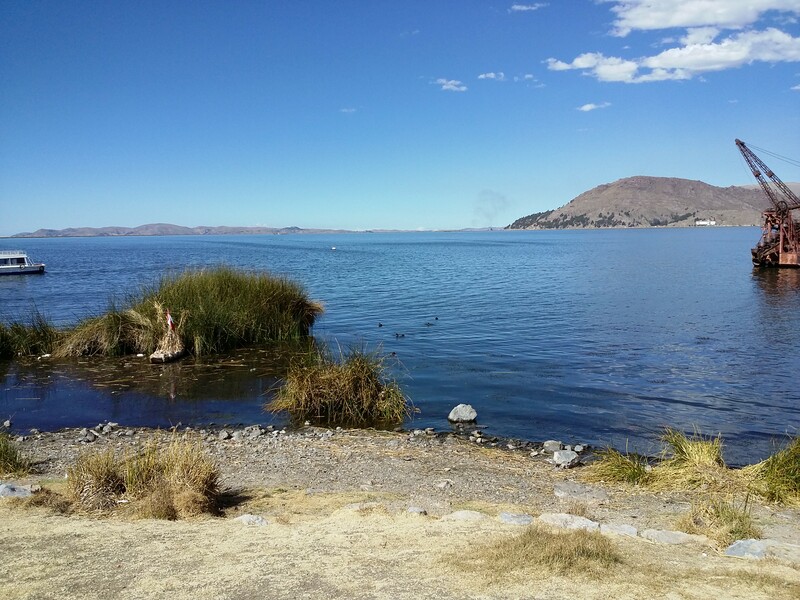 I caught my early flight to Julica, the largest city on the shores of Lake Titicaca in southern Peru, with minimal drama. 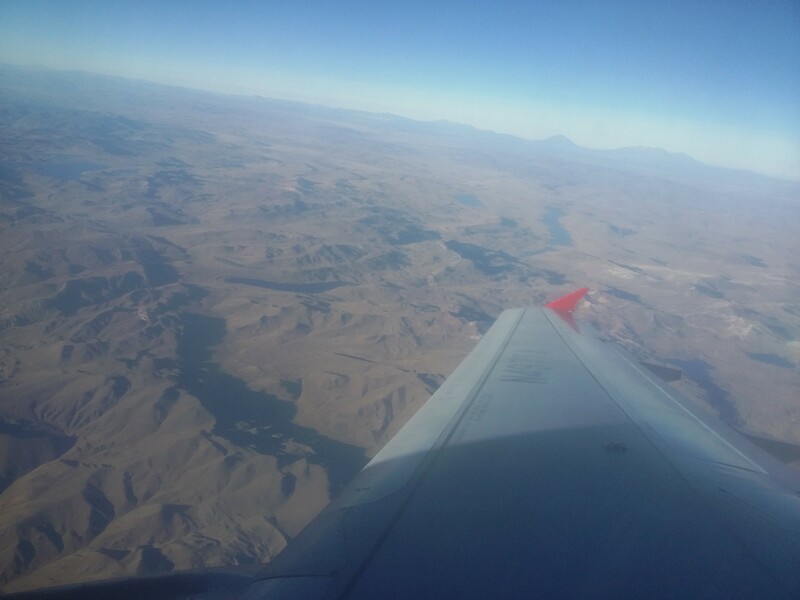 When I arrived, I even filled the last seat in the collectivo – the van filled with a dozen or so Peruvians, plus me and a very nice Frenchman who lives here working on rainforest sustainability. Good luck, or who knows how long I’d have waited at the airport – these vans are super cheap, but they only leave when they’re full, and no sooner. 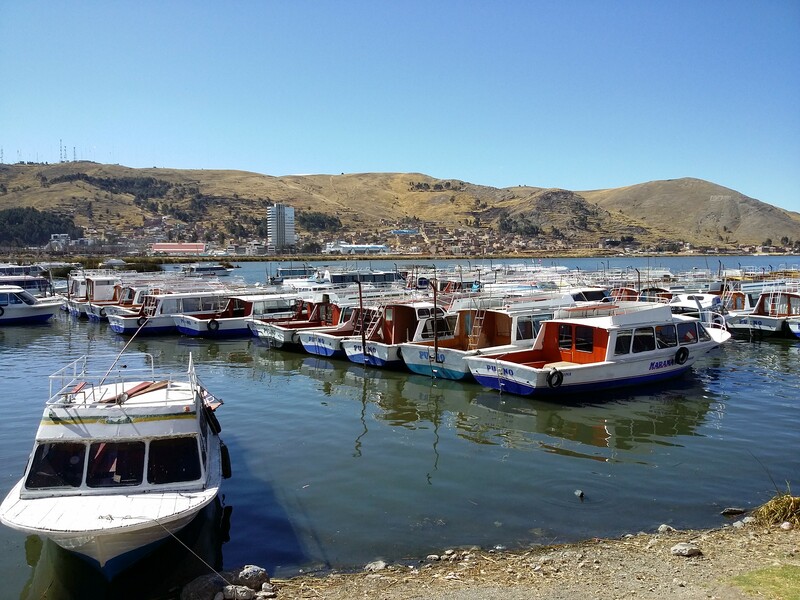 My ultimate destination for the day is Puno, the dusty tourist gateway to Lake Titicaca, the world’s highest navigable lake at 3,812 meters. The town is sleepier and rougher than Cusco or Lima, but nothing like Iquitos. And the lake is simply stunning. The Inka believed that the sun god was born here, and in some tellings, that the original founder of the Inca race originated here. And the way that gorgeous water touches the glorious sky, it isn’t hard to let your head wander in such fantastic directions. 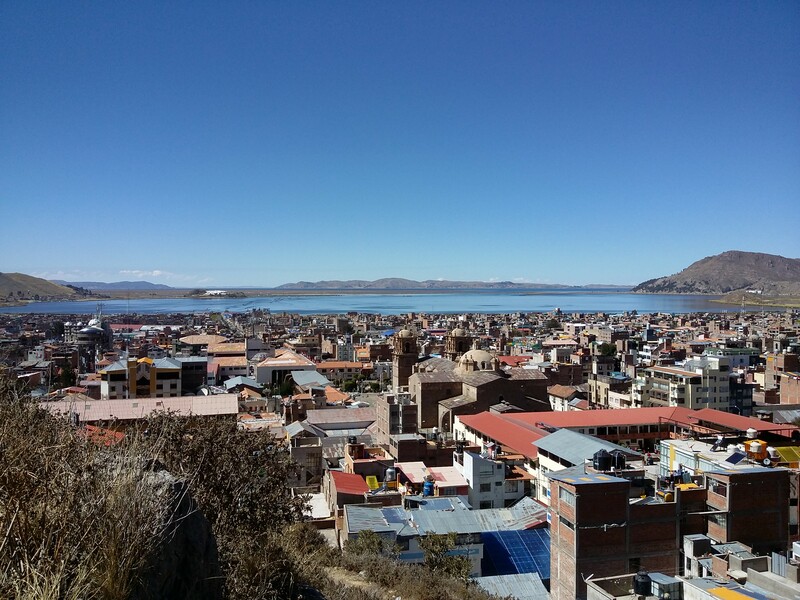 I spent most of the day wandering Puno’s tight center. Of all things, there seems to be some kind of middle school marching band festival going on. I’m treated to a barely recognizable version of the Rocky theme – which was actually inspired in its dissonance, like it had just gone ten rounds with Apollo Creed. I visited a sprawling local market, where the bounty of Peru’s many climate zones came together in a tremendous open air super market. Dozens of potato varieties in burlap sacks, fruits from the rainforest, and from lower elevations, gigantic ears of corn the likes of which you’ve never seen in the US. 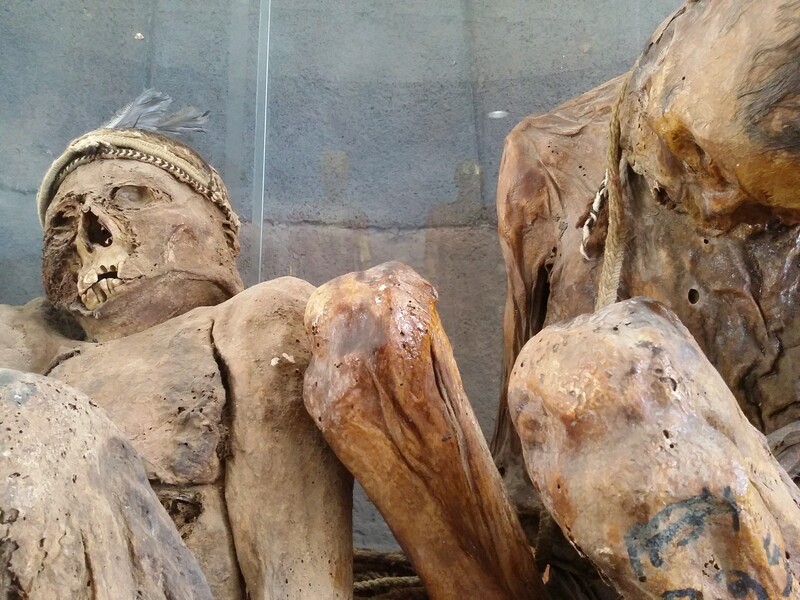 There’s a modest museum in town with three well-preserved Inca mummies recovered nearly a century ago from nearby funerary structures on the shores of the lake. Just look at those guys. I also took care of some important business. I went to the post office to mail a card to Rory, and there saw a massive icon of Mary in the mail sorting room. Finally, I walked down to the bus terminal to purchase my ticket to La Paz, Bolivia for this coming Tuesday. It’s hard to believe it, but I’m entering the home stretch of this little South American expedition. Today is actually day fourteen, and I can’t believe all I’ve already seen. The only time it feels long is when I get a chance to talk to Rory. There’s no other way to say this – that is hard. Thank you for sharing this wonderful experience with us. I am confident that our students will enjoy this even more. Stay safe.